12 PCS Hair Curlers Curlformers Long Spiral Curls Top up Pack ✅FASHION: These rollers and curlers will lift your hair, curls and waves to create a unique style. ✅SIZE:Suitable for long hair. 12in/30cm ✅CONVENIENT: Fast and easy to use. 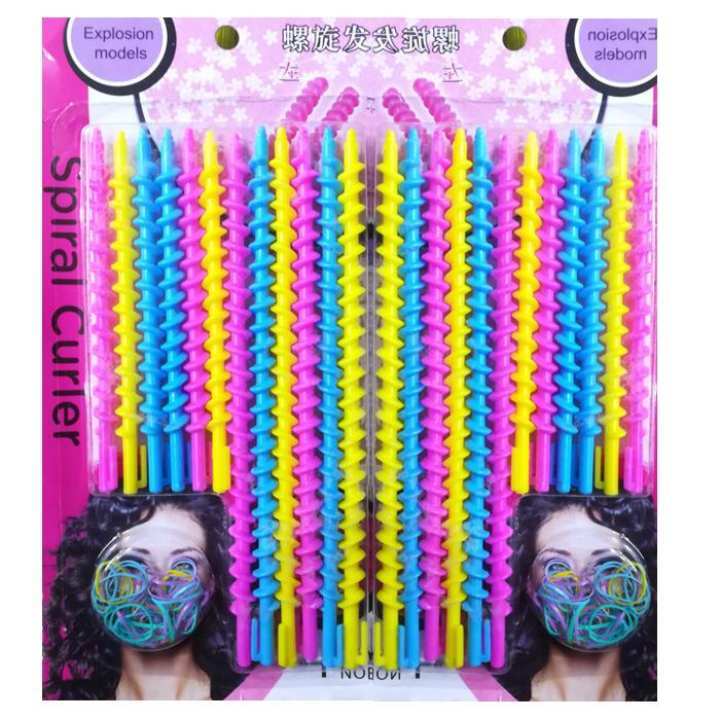 Product details of 12 PCS Hair Curlers Curlformers Long Spiral Curls Top up Pack ✅FASHION: These rollers and curlers will lift your hair, curls and waves to create a unique style. ✅SIZE:Suitable for long hair. 12in/30cm ✅CONVENIENT: Fast and easy to use. Specifications of 12 PCS Hair Curlers Curlformers Long Spiral Curls Top up Pack ✅FASHION: These rollers and curlers will lift your hair, curls and waves to create a unique style. ✅SIZE:Suitable for long hair. 12in/30cm ✅CONVENIENT: Fast and easy to use. Ratings & Reviews of 12 PCS Hair Curlers Curlformers Long Spiral Curls Top up Pack ✅FASHION: These rollers and curlers will lift your hair, curls and waves to create a unique style. ✅SIZE:Suitable for long hair. 12in/30cm ✅CONVENIENT: Fast and easy to use. ✅FASHION: These rollers and curlers will lift your hair, curls and waves to create a unique style. ✅SIZE:Suitable for long hair. 12in/30cm ✅CONVENIENT: Fast and easy to use. Reusable and washable. ✅HARMLESS: This natural hair styling kit does not require chemicals. No chemical damage to the hair. ✅SAVE TIME: Just need to spend a few minutes fixing these DIY Hair curlers on their hair, after half an hour, they will possess such a fantastic nice hair curly wave hair.